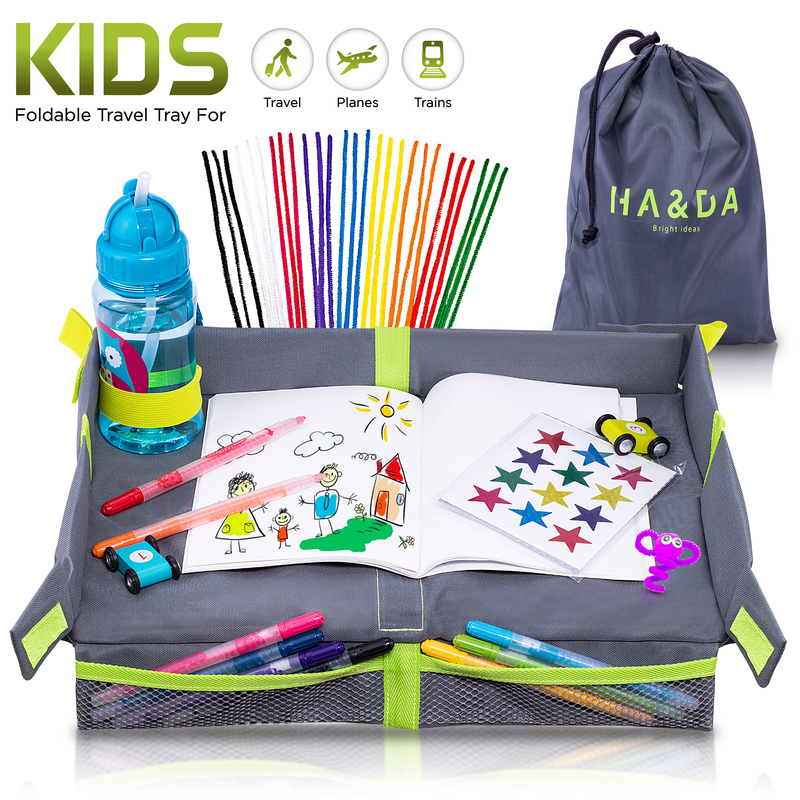 🛩️ENJOY PEACEFUL TRAVELS – TRAVELING WITH KIDS CAN BE HARD but NOT with the Ha&Da™️ Travel Tray. 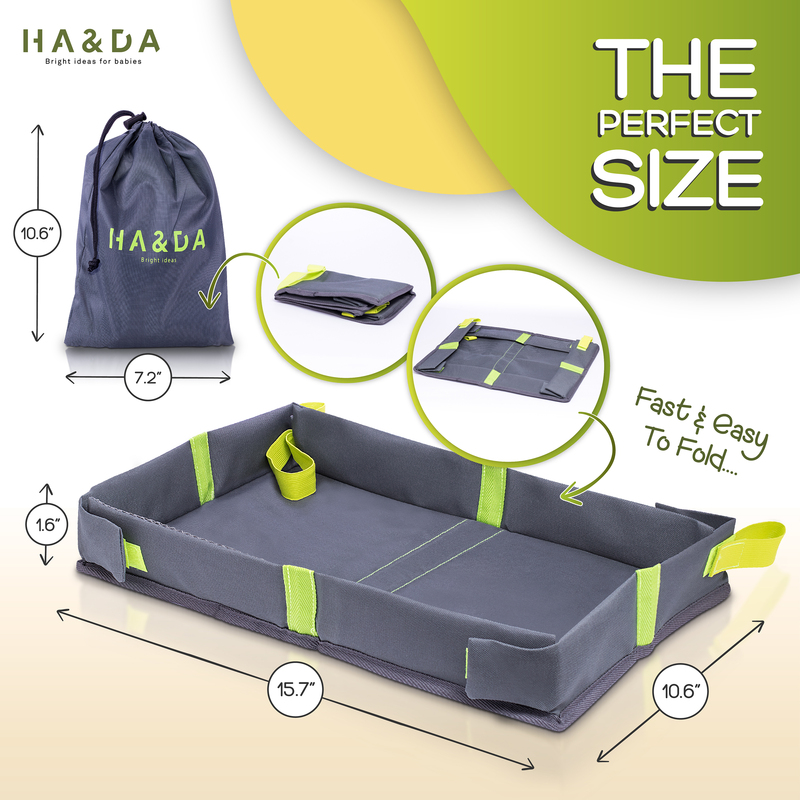 Suitable for any kind of travel whether by train, plane, car or bus, this gender neutral gray/green tray is compact and light to carry – 10.6x7.2x1.6 inches when folded and weighing just over half a pound. 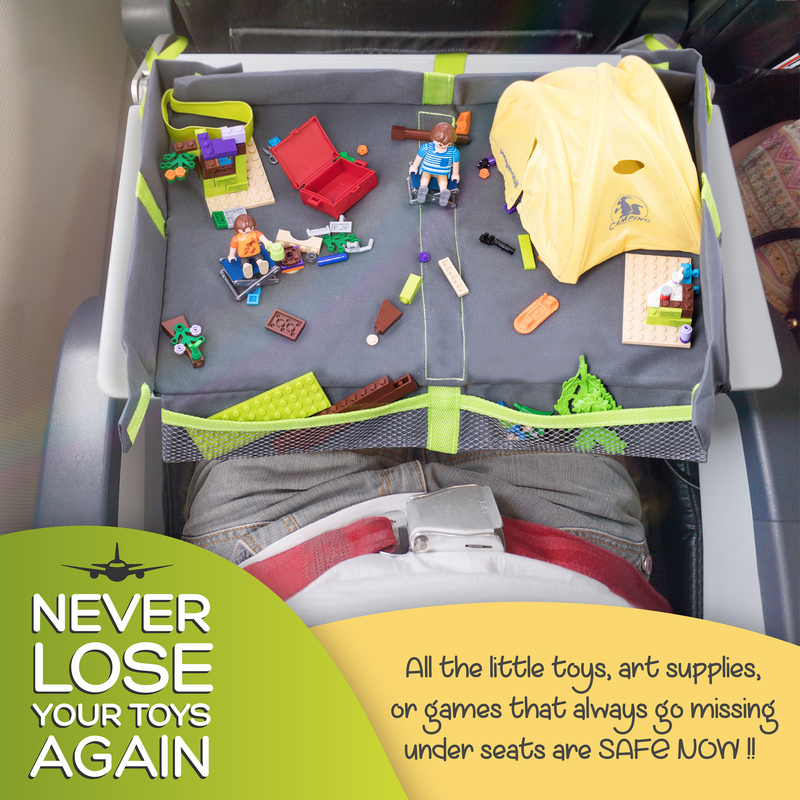 🛩️NO SPILLS AND NO LOST PIECES – Once open to its full size of 15.7x10.6x1.6 inches the tray is the perfect play tray, table. 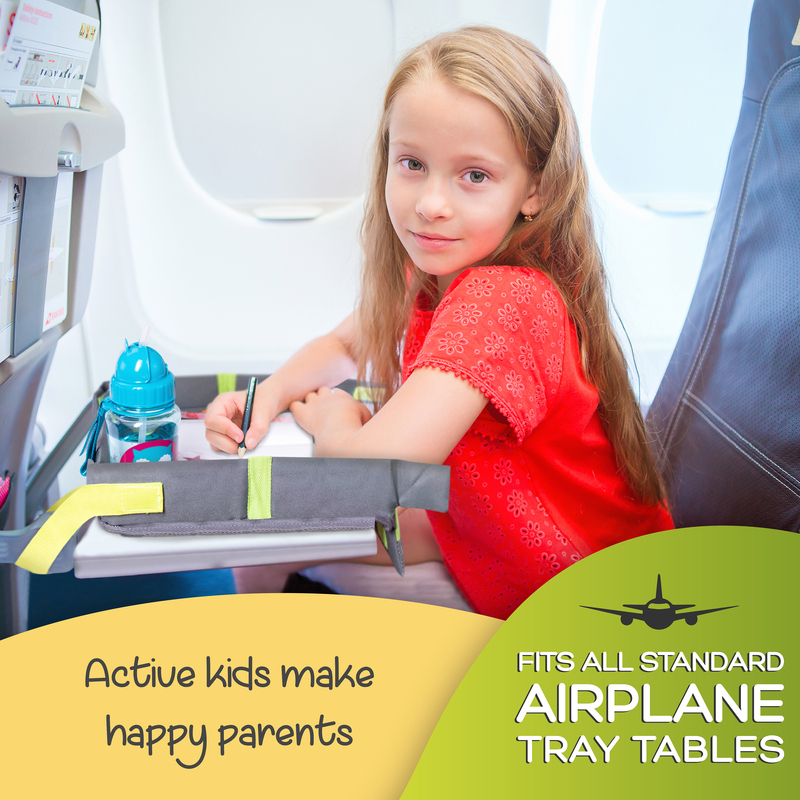 Simply attach the ties to the plane table for 100% STABILITY. With raised sides, completely closed all around, nothing can fall out and onto the floor. 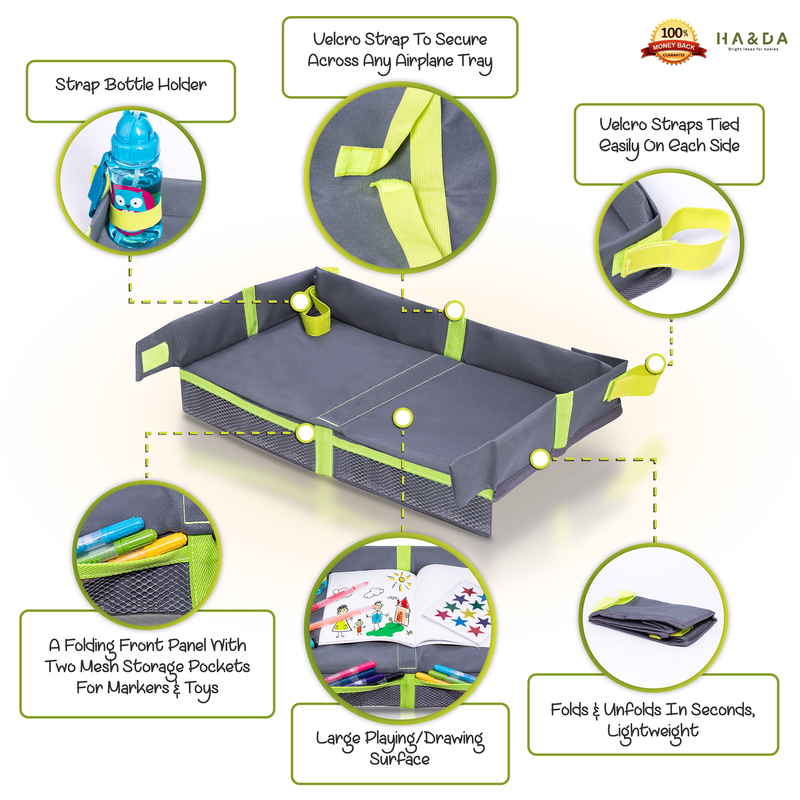 Additionally, there is even a place to hold a cup or bottle and a folding front panel with mesh pocket for pens, crayons, felt pens and pencils. 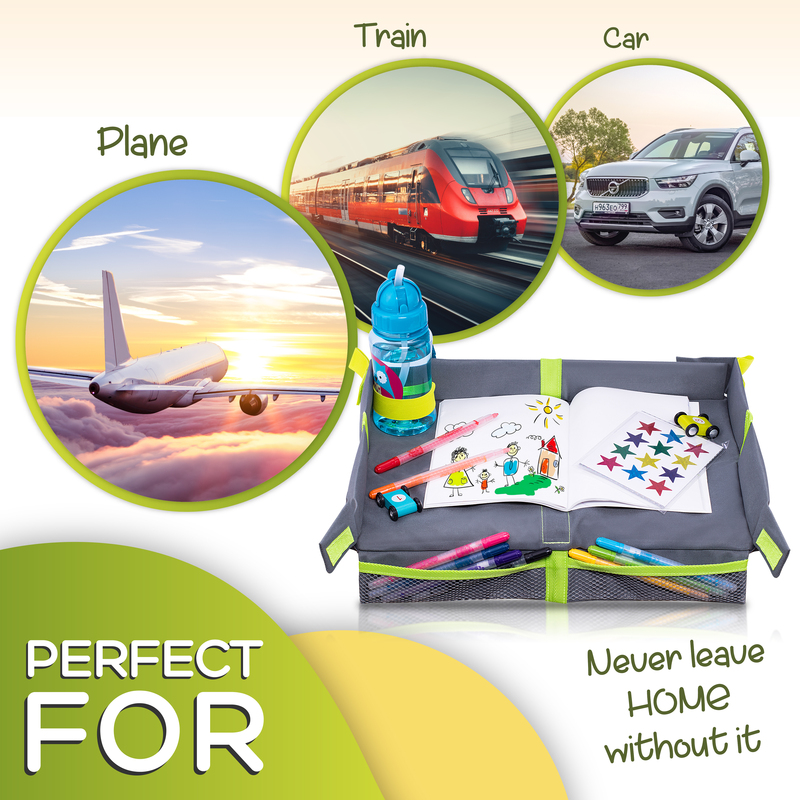 Makes the perfect travel accessory for children. 🛩️“ARE WE THERE YET?” Don’t you dread those words coming from your young kids? The only reason they ask that is because they are bored. 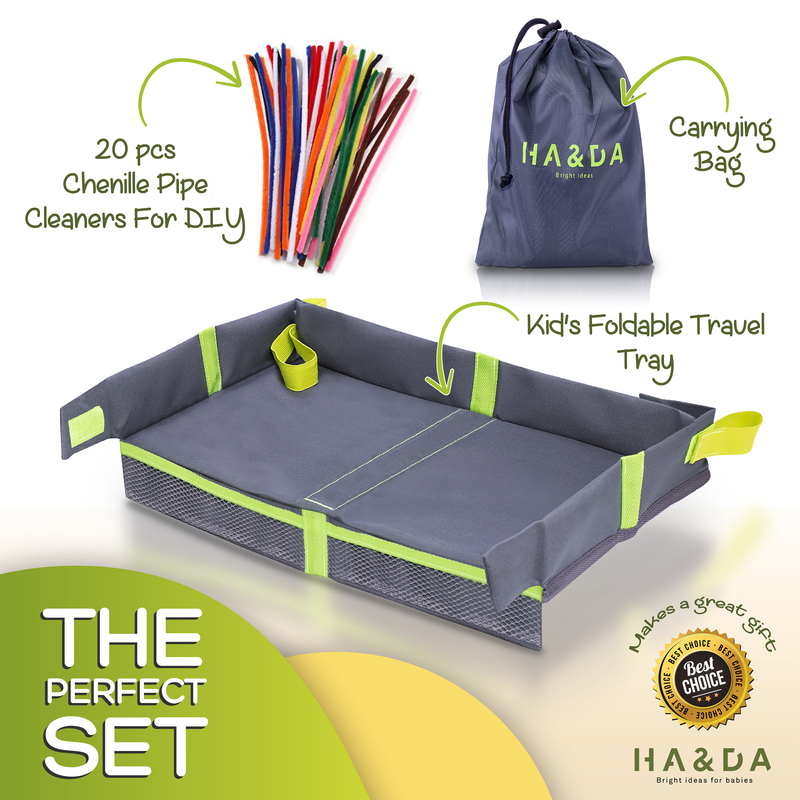 With the Ha&Da Kids Travel Tray, the KIDS WILL NEVER BE BORED or frustrated on those long trips. Get out all your road trip activities for kids and travel activities for kids and allow them to enjoy even the smallest of games without any of the pieces getting lost..